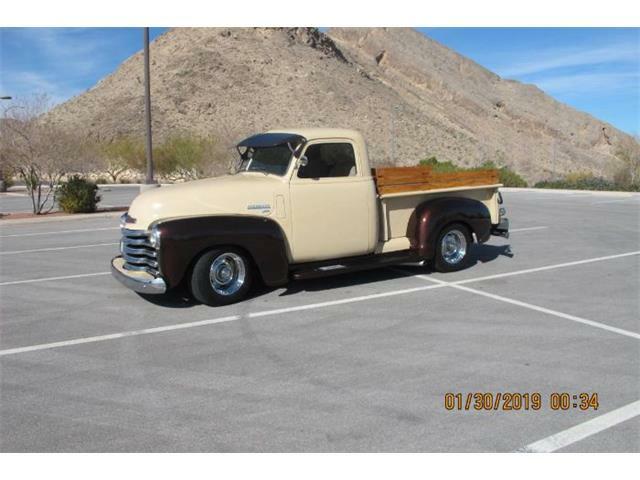 While we are in the middle of Scottsdale Auction Week and surrounded by all sorts of Ferrari's and other rare expensive cars, its nice to see something simple. 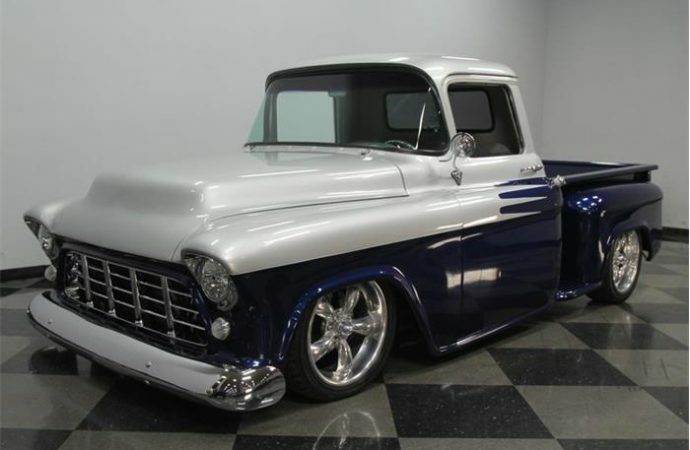 While we are in the middle of Scottsdale Auction Week and surrounded by all sorts of Ferrari’s and other rare expensive cars, its nice to see something simple, attainable and still impressively gorgeous, like our Pick of the Day, a 1956 Chevrolet 3100. 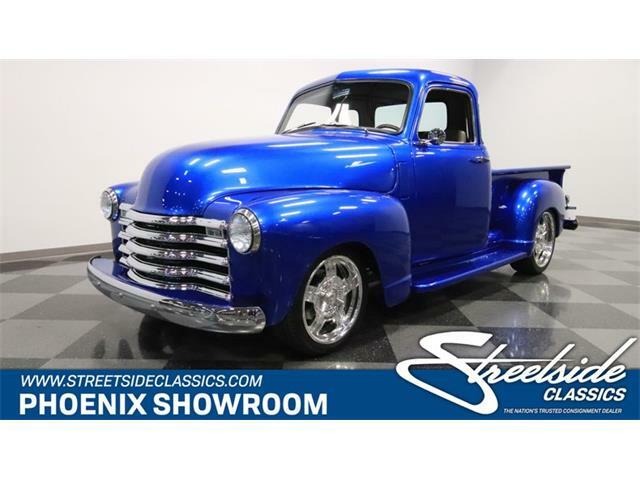 So how does a truck catch my eye during Scottsdale Auction week? 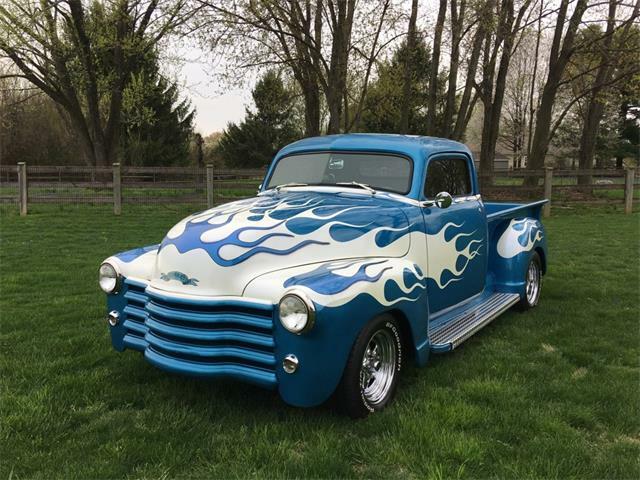 I have to agree with the listing on ClassicCars.com, that this is the byproduct of a combination of a big budget with a passion to create an unforgettable custom pickup. 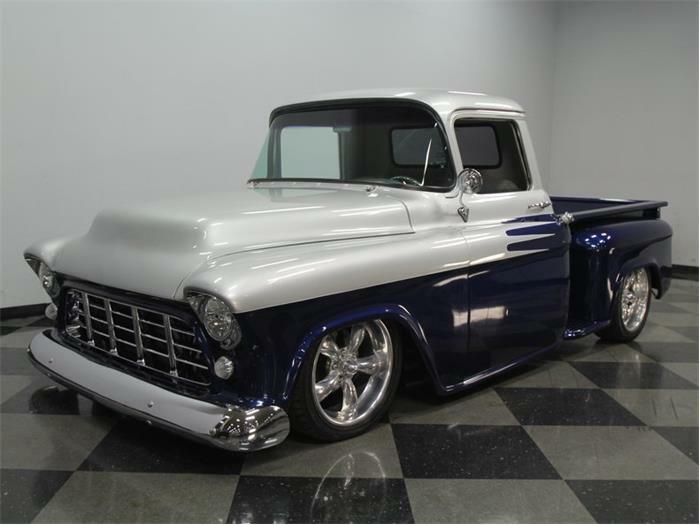 The truck features two-tone paint, custom interior, adjustable ride height, and has a powerful V8. What I love about the paint is that the high gloss silver and blue has so much clear coat that you really see its softly rounded curves. However, as the listing states, it also means you would be able to instantly tell the moment one of these panels was out of line. 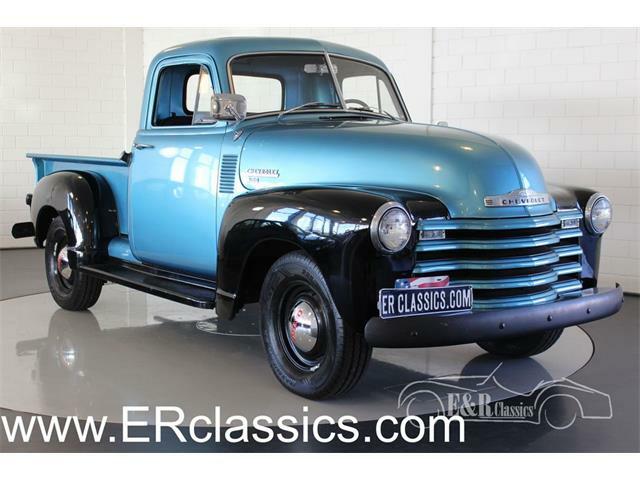 Because it is a truck and you’re probably going to want to use it for its capability, it has blue, sprayed-in bed liner that’s stylish and tougher than the usually varnished-wood beds in such custom pickups. While the paint and body are great, lets not overlook the chrome details. 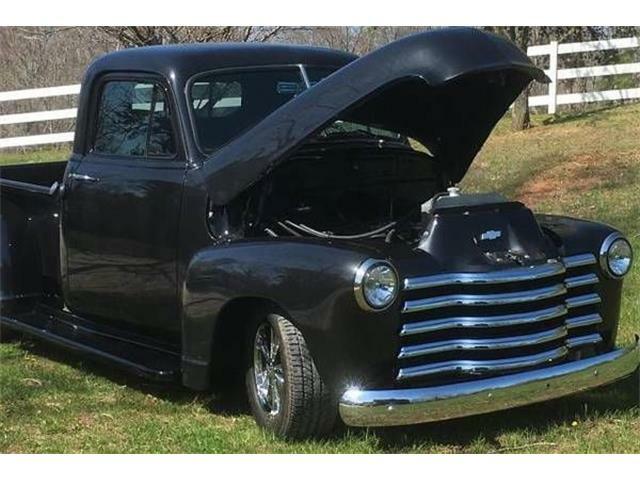 According to the listing, the egg-crate grille, bumpers, gas cap, door handles, and light surrounds all have been restored to shine like mirrors. I personaly think air suspension is one of the coolest things a vehicle can have because everything looks good with the wheels tucked. This truck lets you choose your stance. When it comes to the interior, not one thing was overlooked. 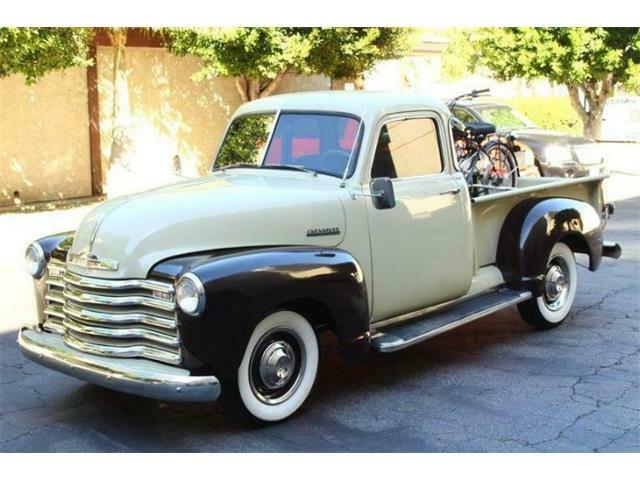 According to the listing, it has a reshaped bench seat wrapped in custom foam and comfortable multi-gray upholstery. This is repeated on the doors and kick plates, which coordinate with the carpeting while the exterior silver paint thats repeated on the dash. The truck’s other main color, the exterior blue, matches the Dakota Digital gauge setup. 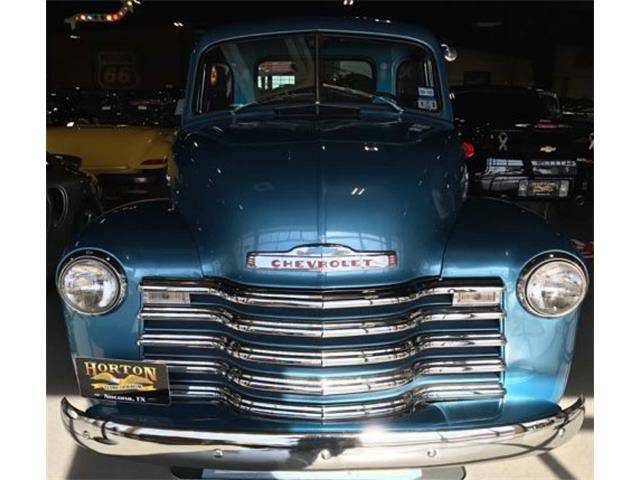 Just as the exterior has fine chrome details, the interior refects the theme with chrome touches on the gearshift and the custom sports steering wheel with Chevy bow tie in the middle. Additionally, the ashtray has been re-purposed to house the hideaway controls for the airbag suspension. 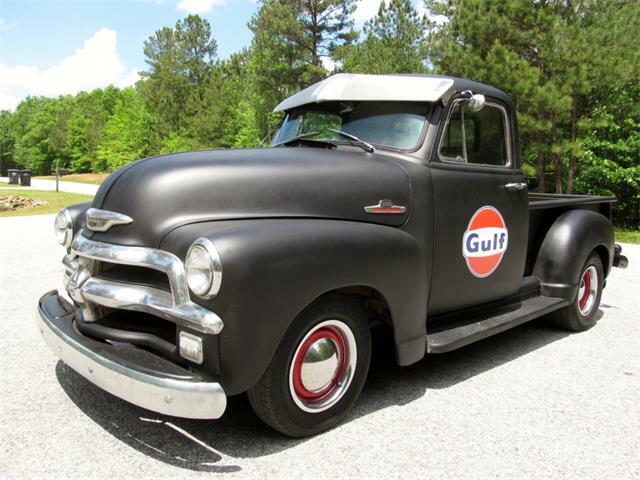 According to the listing, powering the custom truck is a Chevy 350 cubic-inch small block that has been upgraded with performance mods such as Edelbrock Performer RPM heads, Edelbrock Performer Air Gap intake, and of course, the bold snorkel air grabber that feeds the Summit four-barrel carburetorm and dual glasspack exhaust. 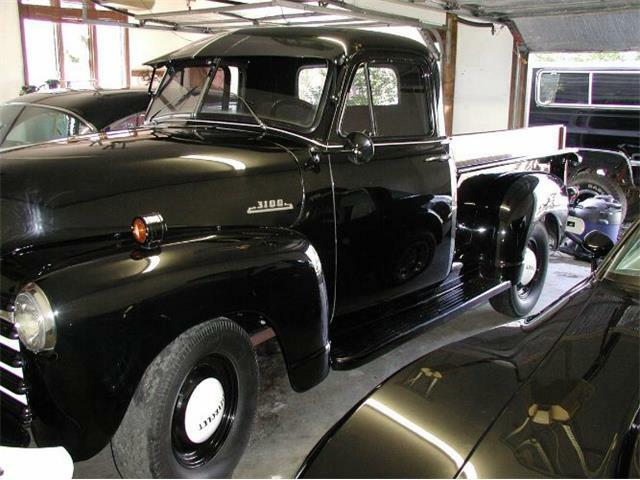 It has a three-speed TH400 automatic transmission and stout 12-bolt rear end. Also present are driver-friendly features such as power steering, slotted and vented front disc brakes, and sticky Dunlop Direzza sport tires wrapped around bold torque thrust-style wheels. 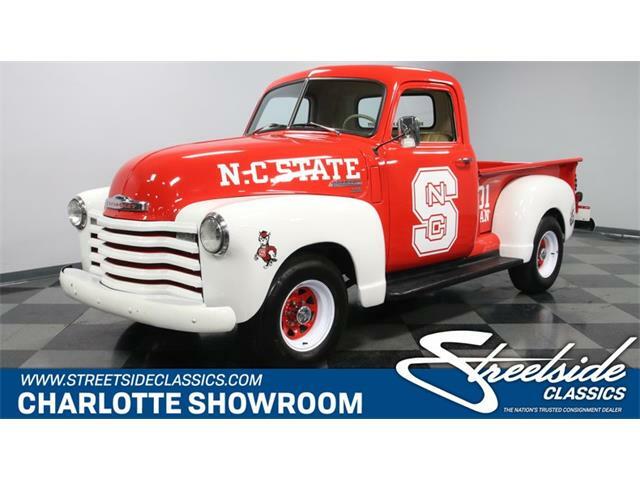 This custom truck has been listed on ClassicCars.com by a dealer in Charlotte, North Carolina for $41,995.